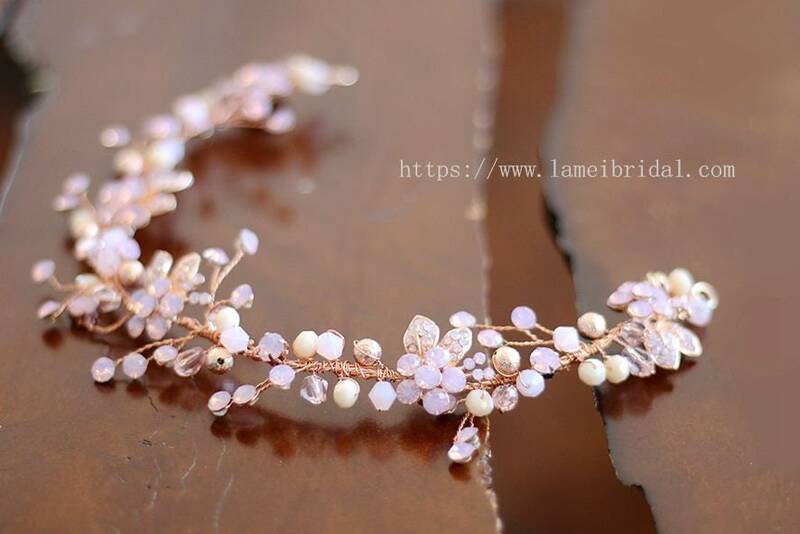 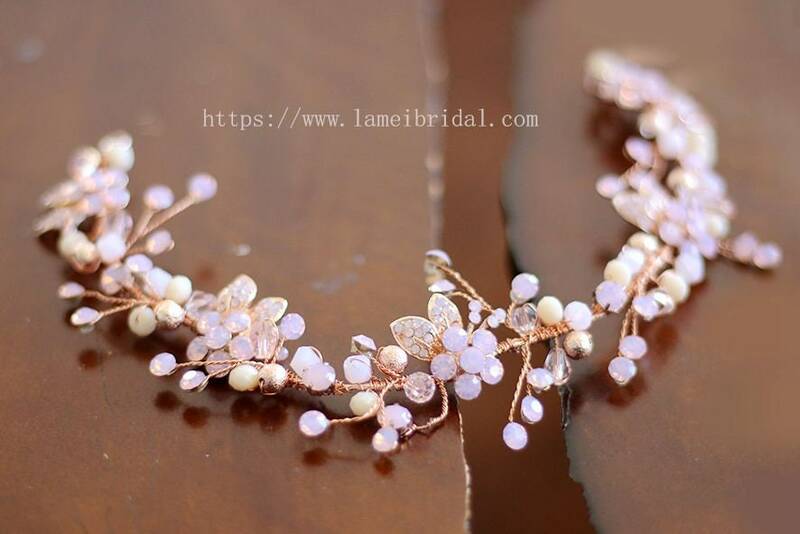 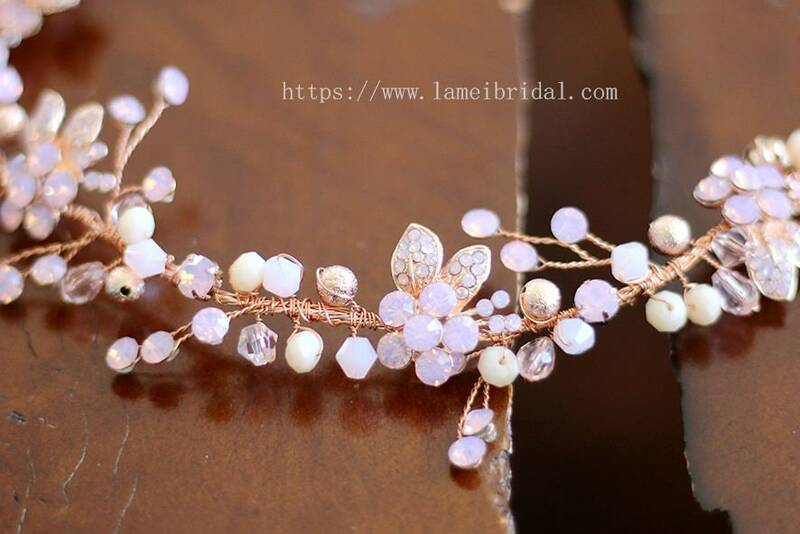 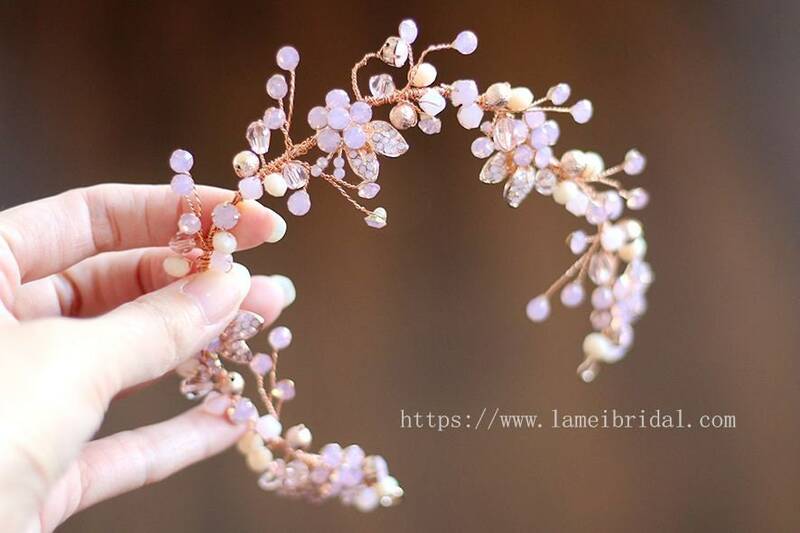 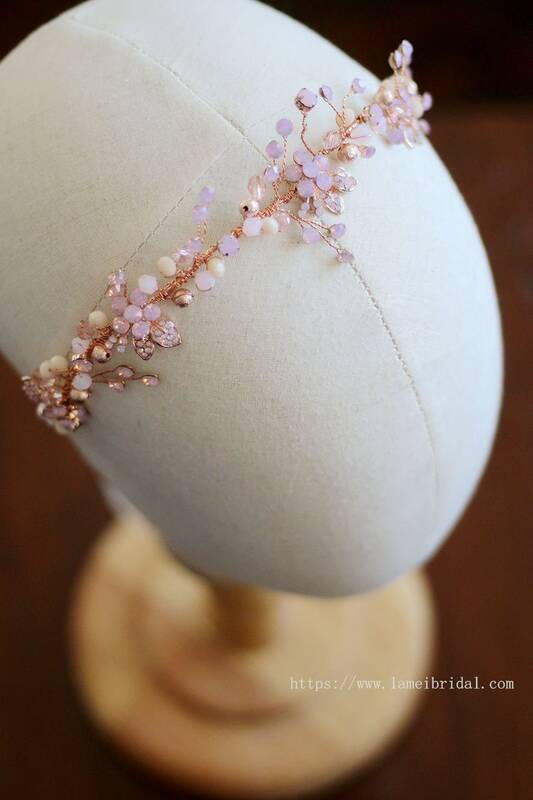 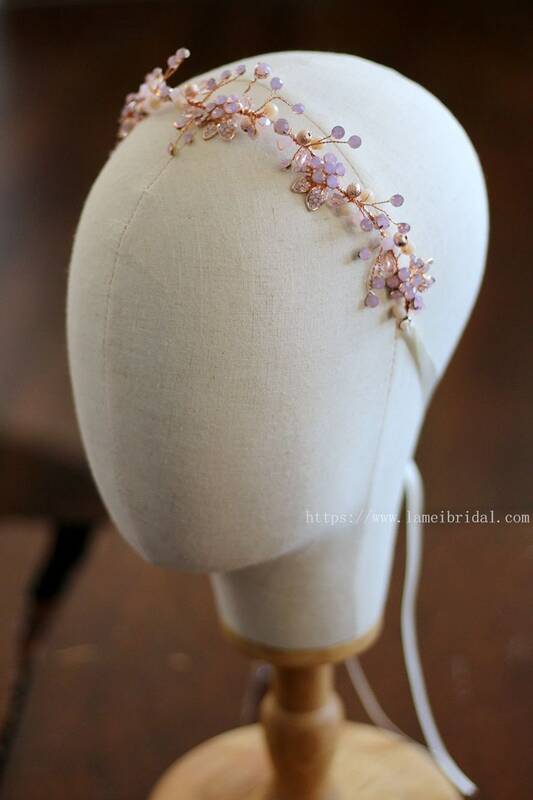 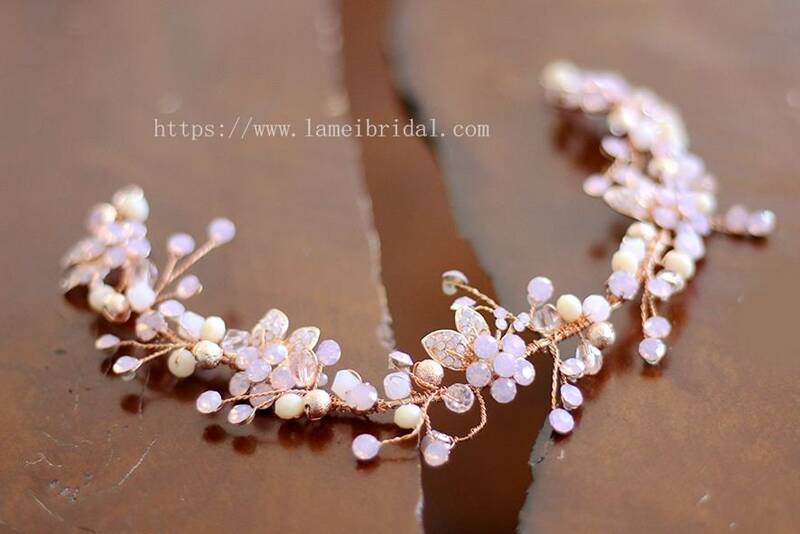 A truly gorgeous and sparkling headband thats both unique and stylish. 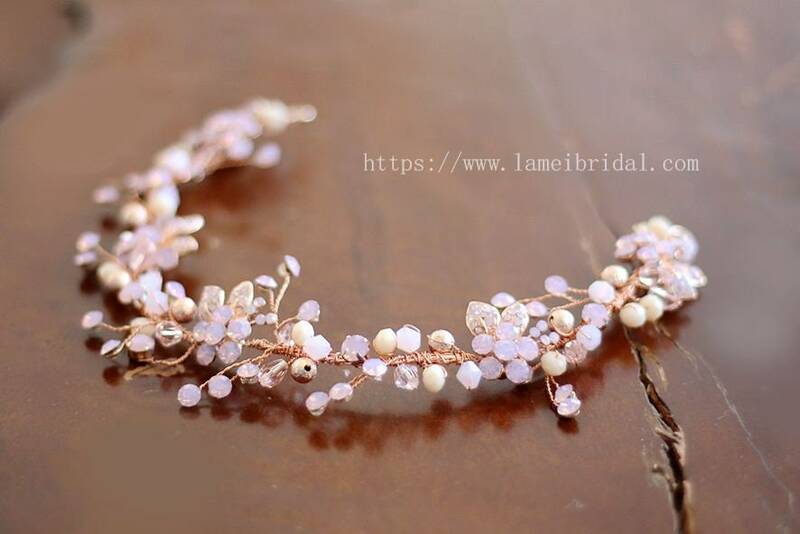 It is accented by a mix of Pink flowers and crystal wrapping. 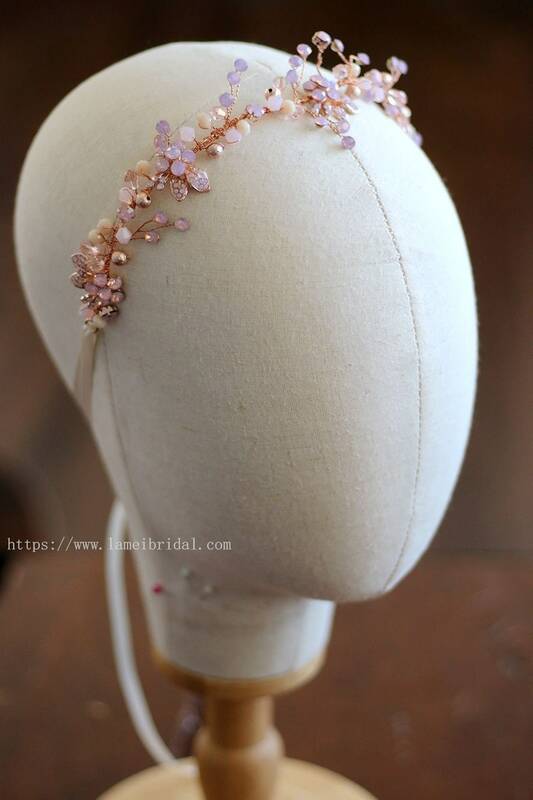 is easily pinned into place or ribbon can be attached, it is very comfortable to wear and gives a modern but whimsical look.